No trip to Los Angeles is complete without visiting Griffith Park. This urban parkland is an L.A. icon with numerous trails and historic attractions sprawled over 4,210 acres. My parents brought my sister and me here for picnics and horseback riding, and I’ve continued the tradition with my three kids. 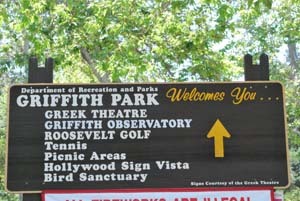 Griffith Park, named after founder Griffith J. Griffith, has a plethora of family-friendly attractions including train rides, pony rides, the L.A. Zoo and Griffith Observatory. Hundreds of TV shows and movies were filmed here. The battle scenes in Birth of a Nation, Invasion of the Body Snatchers and the first two Back to the Future movies were filmed in the park. The park’s tunnel served as the Batcave in portions of the TV series Batman. 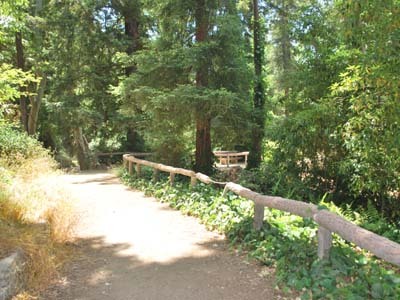 Stroll under a canopy of Sycamore trees and along lush ferns. Named for its 50-plus fern species, the trail follows a seasonal stream. Amenities include Trails café, a children’s play area and picnic tables. Located at Los Feliz Boulevard and Ferndell Drive. Here’s the place for stunning views of the city (and Hollywood sign!) and twinkling night sky. The observatory, which opened in 1935, underwent a $93-million renovation in 2002 that took four years to complete. The original building is still there but now there are even more exhibits, models, artifacts and telescopes that provide a peek into the universe. Here since the 1940s, the facility has trains that chug along an approximately one- mile track past stables, an old Western Town and a Native American Village. The trains are one-third scale reproductions of classic American trains in the 20th Century. During the holidays, the area is transformed into a winter wonderland with (fake) snow and a ride to Santa Claus. The stables, here since 1948, are on the same property as the Griffith Park & Southern Railroad. Here’s where I had my first pony ride. And many years later, my kids did too! Time it right to take a spin on this seasonal carousel built in 1926. In Griffith Park since 1937, this classic carousel features 68-carved horses designed with jewel-encrusted bridles and draped blankets. Open weekends year-round, daily in summer. Across from the carousel, this two-acre park is a universally- accessible playground that includes an airplane with cockpit controls, slides with a bouncy landing pad, a Lucky Star Chaser space shuttle and Ronald’s Ship of Dreams, an imaginative play area. Onsite tables and restrooms. When my kids were little (and my son was a train fanatic), we spent a lot of time at this transportation museum housing trains and vehicles from the 1880-1930s. It’s fun to climb aboard historic steamer locomotives, passenger cars and cabooses. We held a party for my son’s third birthday inside a train car. Travel Town also has a miniature train you can ride that makes two loops around the nine-acre park. Inside the exhibit hall are horse drawn wagons, such as a milk delivery van, coal box buggy and the chariot from the 1959 film Ben Hur. There’s an onsite gift shop that sells engineer’s hats, train whistles and Thomas the Tank Engine toys. In 2003, the Gene Autry Western Heritage Museum merged with the Southwest Museum of the American Indian and the Women of the West Museum. This intercultural center explores the American West through exhibits www.theautry.org. 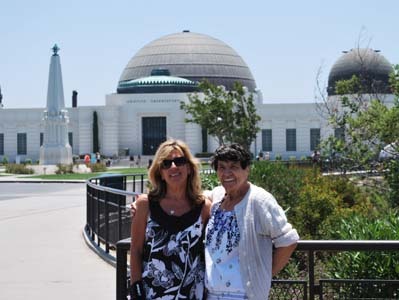 Mimi Slawoff has a monthly travel column in L.A. Parent magazine and writes for the Los Angeles Convention and Visitors Bureau and Trip Advisor. Follow Mimi on Twitter @mimitravelz.